A hood ornament from a 1935 Auburn Model 851, supercharged boattail speedster gleams in the early morning light at at the seventh annual Art of the Car Concours on the grounds of the Kansas City Art Institute. Car enthusiasts gathered beneath the elegant ginkgo trees on the campus of the Kansas City Art Institute. Bill Alexander (from left) and Kermit Wilson look under the hood of a 1935 Riley Kestrel 22T 4-Lite Saloon. Sadie, a shih tzu, peeks out from the passenger seat of Rex Russell's 1919 Stanley Steamer. Marilyn Blackmon polishes a 1946 Ford half ton pick-up. Wayne and Marilyn Blackmon named the truck 'Lil Henry.' The truck was rescued from a field in Northern Minnesota. More than 200 vintage cars, motorcycles, trucks, and bicycles were on display on the lawn of the Kansas City Art Institute campus. Bob Rohr wipes a streak from the fender of a 1935 Auburn Model 851, supercharged Boattail Speedster. Roses decorate the grass in front of a vintage Jaguar. 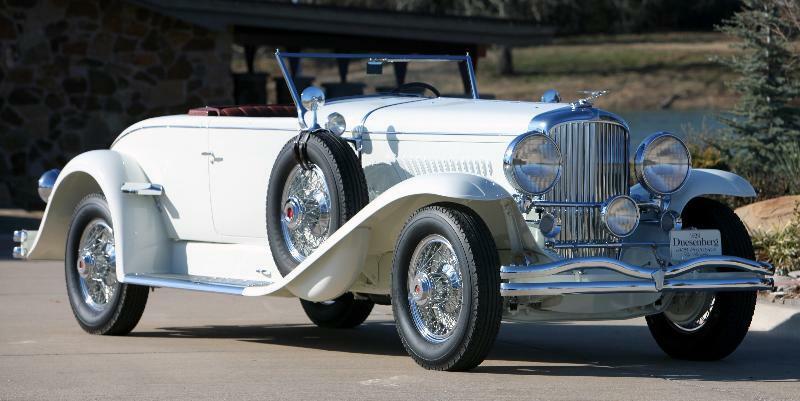 A hood ornament decorates a 1931 Auburn Cabriolet 8-98A. A visitor photographs a 1932 Lincoln KB Touring car. A greyhound dashes on the hood of a 1932 Lincoln KB touring car. Jeff Moore (from left) and Bill VanKeppel chat before the show begins. The grill of a 1935 C1 Airflow four-door sedan glints in the sunlight. Steve Johnston takes a picture reflected in the curved headlamp of a 1935 Auburn Model 851, supercharged Boattail Speedster. Volunteers pass by a 1955 Mercedes-Benz 300 SL gulling two-door sports car as they carry roses to decorate the Kansas City Art Institute campus. Vintage cars line the lawn of the Kansas City Art Institute campus. Larry Tomlin and Frank Zilm polish a 1959 Chevrolet Corvette C-1 convertible. The hood ornament of a 1950 Rolls Royce Silver Wraith Limousine glints in the sun. Keeping a black clean is a continuous process according to David Sindelar who brought his 1965 Chevrolet Corvette Coupe. A visitor looks under the hood of a 1967 Sunbeam Tiger MK II Roadster. Sir Stirling Moss's first road car was a 1934 Morgan Three-Wheeler ‘Trike’, CXD 628, now owned by Steven Hobbs. The Seventh Annual Art of the Car Concours showcases vintage and classic cars and gives visitors the chance to meet some of the men and women who raced them during the 1950s and ’60s. In the first portion of Friday's Up to Date, Steve Kraske welcomes British racing legend Sir Stirling Moss who raced from 1948 to 1962, winning 212 of the 529 races he entered, Denise McCluggage, a pioneer in open-wheel racing and a Kansas native who was a sportswriter for New York Hearld Tribune where she covered skiing and sportscar racing and attorney Marshall Miller, an exotic car expert and the chairman and founder of the event at the Art Institute. 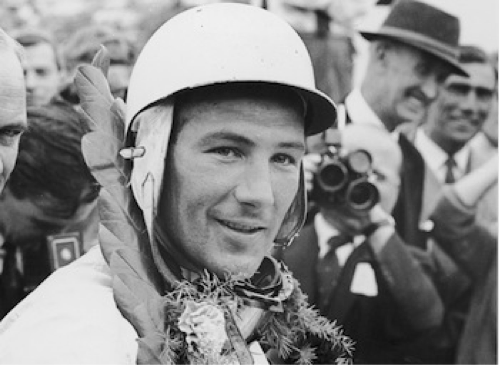 HEAR MORE: Sir Stirling Moss and Denise McCluggage will host a "meet the legends" event at 1:30 on Saturday afternoon, June 22. The event has been moved to Pierson Auditorium in UMKC's Atterbury Student Success Center. SEE MORE: The 7th Annual Art of the Car Concours takes place from 10 a.m. to 4 p.m. on Sunday June 23 on the KCAI Campus, 4415 Warwick Road, Kansas City Missouri. The event features more than 200 vintage, classic and special-interest vehicles including cars, trucks, racing cars and motorcycles belonging to collectors from eight states. Sir Stirling Moss OBE, raced from 1948 to 1962, winning 212 of the 529 races he entered, including 16 Formula One Grand Prix races. His success in a variety of categories placed him among the world's elite, and he has often been called "the greatest driver never to win a World Championship." For additional information on Moss and his achievements, visit his website. Denise McCluggage, who was born in El Dorado, Kan., began racing in the mid-1950s, and one of her racing achievements included winning the grand touring category at Sebring in 1961. She ended her racing career in the late 1960s and eventually became editor of Autoweek magazine. She also had a stint at the New York Herald Tribune as a sports journalist. To learn more about McCluggage's racing career or to read some of her articles, visit her website. Each year the Kansas City Art Institute hosts the Art of the Cars Concours, a gathering of exotic vehicles whose purposes extend far beyond transportation.